Among the Missing certainly has enough dark elements to it for it to be classed as a horror novel, in the main though, I would say that the story is better classed as a mystery. In chapter one a man waits in the woods at the side of a road for a late night rendezvous with his lover. When she arrives, wearing clothes that are little more than a token gesture of being dressed, he jumps into her Jaguar’s passenger seat and they head of for a romantic spot he tells her about called The Bend. When they arrive at the bend it is every bit as romantic as he has told her. Moonlight reflects on the rippling water of the river and a gentle breeze blows through the trees. If the woman had known that she was going to die, I suppose that she could not have chosen a better place to do it. But she didn’t know and if she had any choice in the matter she would have probably skipped the moonlight on the water and chosen to live. The main characters in Among the Missing are not Bass or Faye though; Sheriff Rusty Hodges and his daughter-in-law Deputy Mary ‘Pac’ Hodges have that particular honour. Pac, who is sometimes called The Pac, had been a promising gymnast until a knee injury knocked her out of the Olympic finals. After that she threw herself into police work instead of across the high bars, and two years after joining the Sierra County Sheriffs Department she married Harney Hodges. Pac is in bed with Harney, and they are doing some early morning celebrating of their third wedding anniversary, when the call comes in about the body at The Bend. Not the best of timing, but what can you do? When you gotta die, you gotta die and the girl didn’t have a lot of choice in the matter. Pac rushes off to join her father-in-law at the crime scene. Among the Missing is 218 pages long and I have got to say that with names like ‘Pac’ and ‘Bass’ it has some of most interesting and unusual monikers in Laymondom. I’ve read this one twice now, it isn’t one of my favourites, but it is a good read. Primarily it is a whodunnit, but there are a few interesting sub-plots like, for instance, will Pac and Harney ever get any peace to celebrate their wedding anniversary? where has Faye disappeared to and will her room-mate manage to succeed in seducing Bass in her absence? 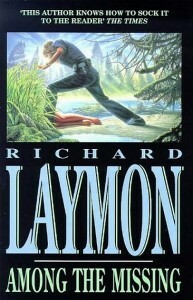 There are some unsavoury characters of course—it wouldn’t be a Laymon book without them—and you need at least one unsavoury character in a story like this or you would have nobody to man the hacksaw for that all-important beheading of the innocent victim. The main unsavoury in Among the Missing is a Guy called Merton and ‘unsavoury’ is putting it mildly. 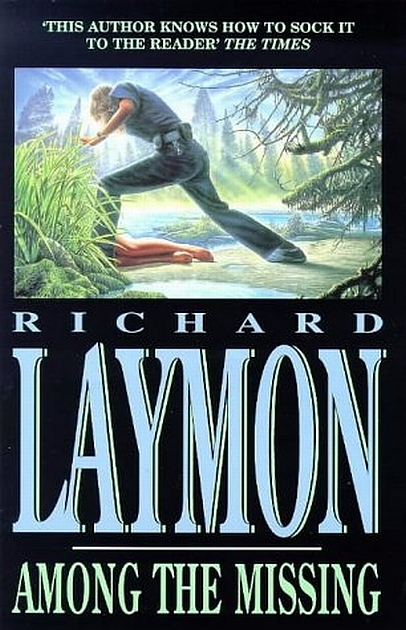 As is often the case with Richard Laymon novels though, some of the characters are not what they seem and there are always plenty of surprises for the reader.